Barbara Edwards Contemporary is pleased to present a solo exhibition of recent sculptural work from renowned Canadian sculptor Robert Murray. Bringing together metal relief sculptures and select works on paper, this exhibition celebrates Murray’s formal intrigue with the topography of rural North America. 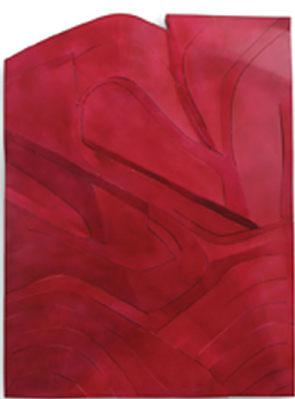 Based on landscapes seen from an aerial perspective, these relief sculptures emerge through a “selective identification of contours, roads, streambeds, woodlots, and field patterns.” While Murray begins with a literal translation of the landscape, his interest lies in the abstract quality of forms, both natural and man-made.